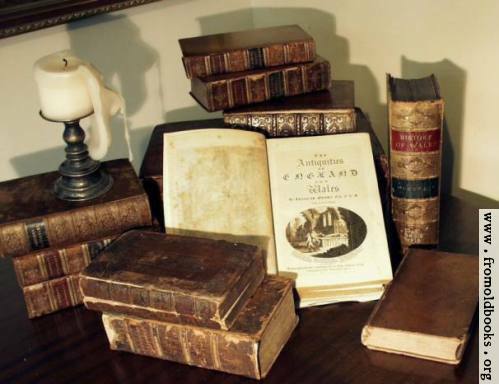 Bring the Books: Jonathan Edwards, Co-Writer of Oblivion? Jonathan Edwards, Co-Writer of Oblivion? 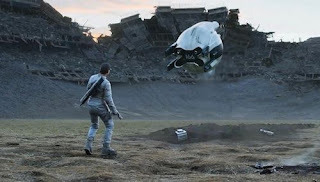 If you haven't seen the movie Oblivion, then the fact that I'm drawing attention to the film and its connection to the following quote might be construed as a major spoiler. Although the title of this post is meant to be provocative (the man's been dead for some time, after all) the following quote shows that Edwards had a science fiction writer within him and didn't even know it (in fact, he would have violently bristled). More importantly, I think, it demonstrates how absolutely important the use of imagination is to the process of original theological thought. In the context here, Edwards is arguing how it is possible that the whole human race can be different individuals and yet identified with Adam, the first man. It is possible without doubt in the nature of things for God to annihilate me, and after my annihilation to create another being that shall have the same ideas in his mind that I have, and with the like apprehension that he had had them before in like manner as a person has by memory; and yet I be in no way concerned in it, having no reason to fear what that being shall suffer, or to hope for what he shall enjoy. Can anyone deny that it is possible, after my annihilation, to create two beings in the universe, both of them having my ideas communicated to them with such a notion of their having had them before, after the manner of memory, and yet be ignorant one of another? And in such case, will anyone say that both these are one and the same person, as they must be if they are both the same person with me? It is possible there may be two such beings, each having all the ideas that are now in my mind in the same manner that I should have by memory if my own being were continued, and yet these two beings not only be ignorant one of another, but also be in a very different state, one in a state of enjoyment and pleasure and the other in a state of great suffering and torment (Scientific and Philosophical Writings [Yale Works, Vol. 6] p.386-387). It would seem that Edwards came to rest with respect to personal identity with the above doctrine that it is divinely constituted. It is closely related to the doctrine of continuous creation. Just as the only real difference between creation and providence is that creation is referred to the first time that God brought things into being, while providence is the term for all subsequent times, so the only difference between Adam’s sin and his posterity’s is that Adam’s is simply the first. His posterity’s sin is the same as his because their personal identity is the same, but it is the second, third, fourth etc. – a difference not in the thing itself but in the number of the thing (Rational Biblical Theology, 2:193). God's upholding created substance, or causing its existence in each successive moment, is altogether equivalent to an immediate production out of nothing, at each moment... (Original Sin [Yale, Vol. 3], p.402). But how does this teaching intersect with personal identity and imputation? Each person is at each moment being created by God. This means that the only way that any individual exists is by divine appointment. “We are constantly being recreated. God is constantly constituting our identity. Why be surprised if God appointed an identity of the human race with a particular individual? God alone is the Creator and identifier of men” (Gerstner 2:197). Coming back full circle with the movie Oblivion, Jack Harper's character, around the halfway point of them film, is revealed to be a clone. We discover that the Tet, which hovers above the planet, is filled with clones of Jack Harper, each of which comes down with his memories imperfectly wiped so that he can do the work of maintaining the drones around the planet. But each clone of Jack Harper has his own unshakeable identity, and even has flickers of the original Jack Harper's memories. At the end of the movie, Harper clone Tech 52 finds Julia and this is what he says: "For three years I searched for the house he built. I knew it had to be out there. Because I know him. I am him. I am Jack Harper, and I'm home."